Selling your house can seem like a daunting task, but with the assistance of the experienced professionals at Robert Ellis, you can enjoy a smooth process that avoids the protracted, convoluted situations that many people fear when selling their property. 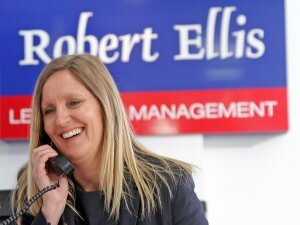 At Robert Ellis, we strive to ensure that we are always in regular contact with you throughout the process – you won’t be left in the dark at any point. From the very first steps to the finishing touches, we will be in constant communication with you to ensure you have a full understanding of what is happening. When you come to us to help you sell your property, you can be sure of a comprehensive and caring service. We have a thorough knowledge of the area and we will work proactively from the start – potential buyers in the area will be contacted immediately to gauge their interest, and we will ensure consistent communication with them to help progress the sale. We don’t bombard buyers with technical jargon, either – we provide informative sales folders that clearly explain every aspect of the sales process. 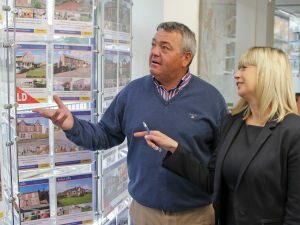 Being the largest independent estate agent in the area we believe we attract more buyers than any of our competitors and with the way we liaise with current Hot Buyers who can proceed to purchase we are confident that we should be able to quickly organise for people to view your house, which should lead to early interest and possibly a quick sale. We have an experienced team of sales negotiators who know the local market place well and have the necessary skills to get people interested in your home and then negotiate a sale so you can sell your property within reasonable timescales and achieve the best possible price. While we are selling your property we will keep in touch and provide regular feedback from viewings and revisit you as necessary to review our marketing strategy and the price we might be asking so we continue to be proactive in the marketing of your property. We have high values in terms of integrity, honesty and respect and we will continually provide you with honest straight talking feedback and provide you with the level of service you would expect from an estate agent who is dealing with what is usually the largest asset somebody might own. 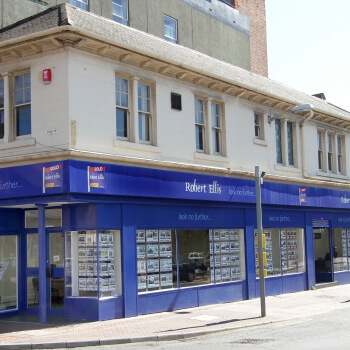 Robert Ellis is an Independently owned business which employs over 50 people most of whom have worked in the business for between 10 and 20 years and live locally so know your neighbourhood well. 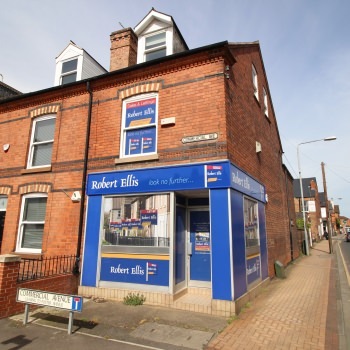 We started in 1988 over the years we have been trading we have sold around 20,000 properties in our trading area and feel that with our experienced teams know the area better than any other agent who are selling properties in the West Nottingham area. When we receive your instructions to sell your property we are immediately in touch with potential buyers who are currently viewing properties in our operating area. We keep in regular touch with all viewers and it is our goal to make sure they purchase a property through Robert Ellis. We will follow up all viewings to see if people are interested in the properties and try and get them to make an offer or if necessary find them another suitable property to view. Keeping in touch with buyers and sellers is the life blood of our business and doing this successfully has enabled us to trade through the difficult years and take advantage of the more buoyant times. We feel that our A3 folded sales details are some of the most informative sales details available from any estate agent operating in our trading area. As well as the description and measurements of your property we will use as many photographs as we can and will also include a floor plan – we believe we are the only estate agent in Long Eaton to offer this on ‘all’ the properties we place on the market and as 30% more people look at details with a floor plan feel that our details are more informative than those of any of our competitors. The people who we will arrange to view your property will be qualified as they are placed on our computerised property matching system. As we deal with prospective buyers viewing properties we will build a relationship so they want to purchase a property through Robert Ellis. Viewings are either arranged with you as the home owner or one of our experienced team members can meet people at a property and carry out the viewing – this can often help to receive honest and constructive feed back so is something we are very happy to carry out. We follow up every viewing that has taken place and report back to you – hopefully with an offer! 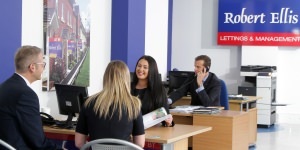 or some constructive feedback, which will help us to work with you to sell your property. 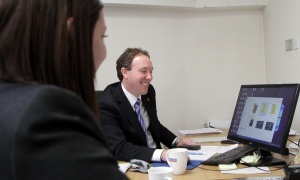 We have a sophisticated property matching computerised system, which we operate across our branch network. 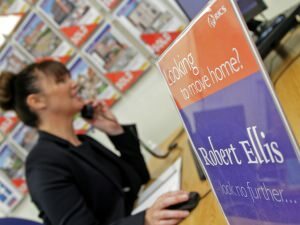 Anybody who contacts Robert Ellis who might be looking to buy or sell a property will be placed on our system which will enable any of our offices to access their details so we can let them know about properties being placed on the market – by calling or emailing information or if they are selling a property to arrange viewings from any of our branches. Over the past decade the use of the Internet has transformed the way most people carry out the initial search to find a property, which suits their requirements and budget. 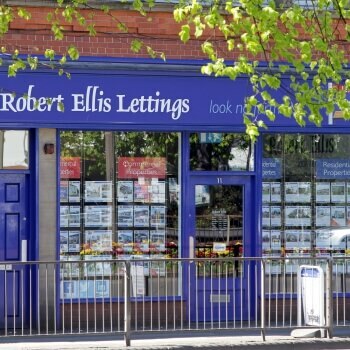 As well as our own website robertellis.co.uk which includes some clever functionality to help you find a suitable property, we also place all our properties on rightmove.co.uk and zoopla.co.uk – which are the premier websites used by all leading estate agents and homebuyers across the UK. Internet advertising provides all home sellers with the best form of ‘National’ if not ‘International’ advertising for their property with full details, numerous images and in the case of properties being sold by Robert Ellis floor plans, which we know are looked at by buyers as they want to see the configuration of the accommodation included in the properties they might be interested in viewing. 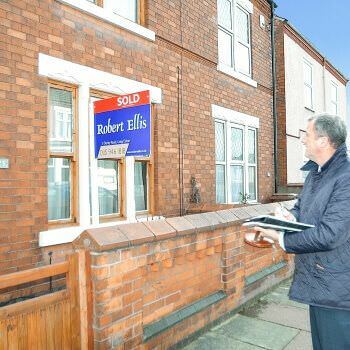 Robert Ellis are one of the few Estate Agents in our trading area to post details of properties we are marketing, success stories and articles about the property market on facebook, twitter and linked-in. We have a dedicated person performing this role within our business so please have a look and follow Robert Ellis. We are the only Estate Agent in the area who are able to produce a TV feature of your home with a fully trained and experienced TV presenter visiting your property and creating the feature that will be attached to righmove and all other web site adverts and be available on youtube and other social media platforms as desired. Our unique TV features cost as little as £149 (with no VAT) and we would look forward to showing you examples of features we have already produced. The features do truly help to generate more viewing appointments of properties we are selling which in turn lead to more sales. 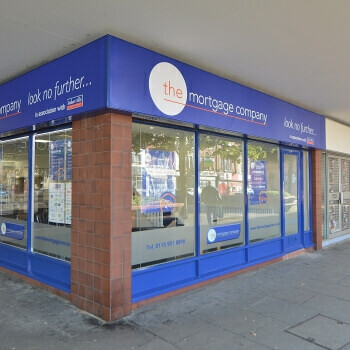 We have three of the most prominent estate agency window displays in the three main towns in which we operate – Long Eaton, Beeston and Stapleford. 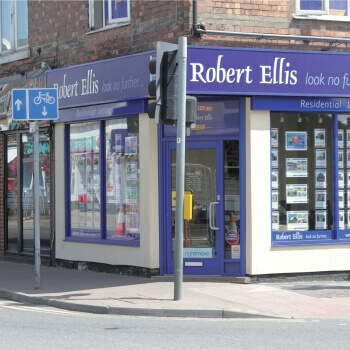 With all properties being placed in the window as well as on the internal displays in our branches we truly believe that over the years we have been trading we have moved our branch locations into what are the most prime location an estate agents would wish to have, which is again another important feature we believe sets Robert Ellis apart from our competition. We believe our for sale boards are one of the most distinctive estate agency boards in the area and we are always very proud to see them outside the properties we are marketing. 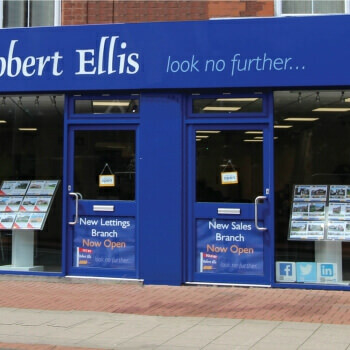 The image of our for sale boards follows through in all our branding, which hopefully helps prospective sellers and buyers to see Robert Ellis as one of the leading estate agency in our trading area. We believe from the time we book the valuation through to the point when you complete the sale of your property we will provide you with unrivalled customer care and contact. 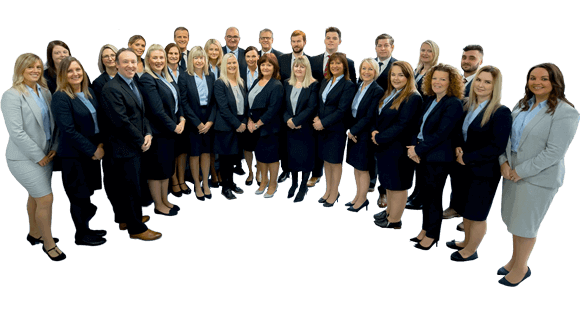 Our valuers are some of the most experienced people in the local estate agency arena with most of our senior people having been valuing properties in the West Notts area for more than 20 years. 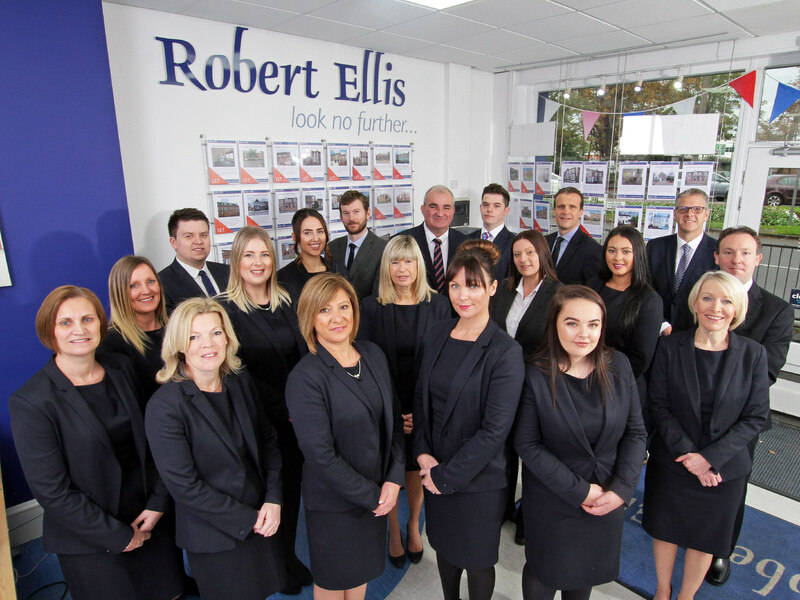 Many of our branch team members have been with Robert Ellis from its inception and therefore bring with them many years of experience and knowledge of the local area and how to deal with people who buying or selling a property. All viewings will be followed up and the feedback provided to our clients, which will help to provide reasons why a property might not be selling. This might lead to a price adjustment, new photographs or some other change in the marketing strategy being used to sell your property. 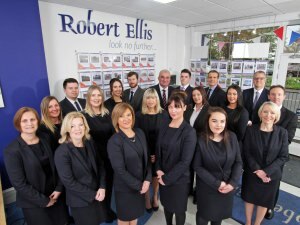 As the property market continues to show further signs of improvement we are pleased to say we have recently recruited new members to our teams who will help to make sure Robert Ellis continues to provide the highest level of service to the people we are acting for or might be buying one of the properties we are selling. 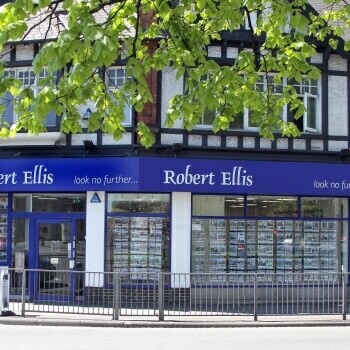 As all our team members live locally we therefore hope that Robert Ellis is playing its part to support the local economy both in terms of employment and as well as buying from local businesses.